Make one first so you can taste it and get the balance just right. Here’s how. 1. 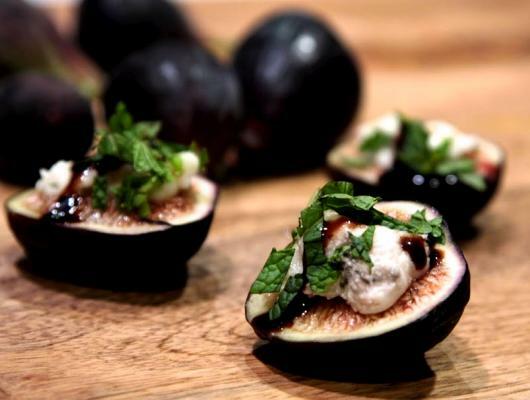 Place a knob of gorgonzola on each fig half. Enough to make it’s presence known, but not too much to overpower the fig or to completely cover its pinkish beauty. 2. Drizzle a little balsamic reduction on top. 3. Sprinkle with chopped mint leaves. 4. Serve on a rustic wood cheese board or on a simple white serving plate. 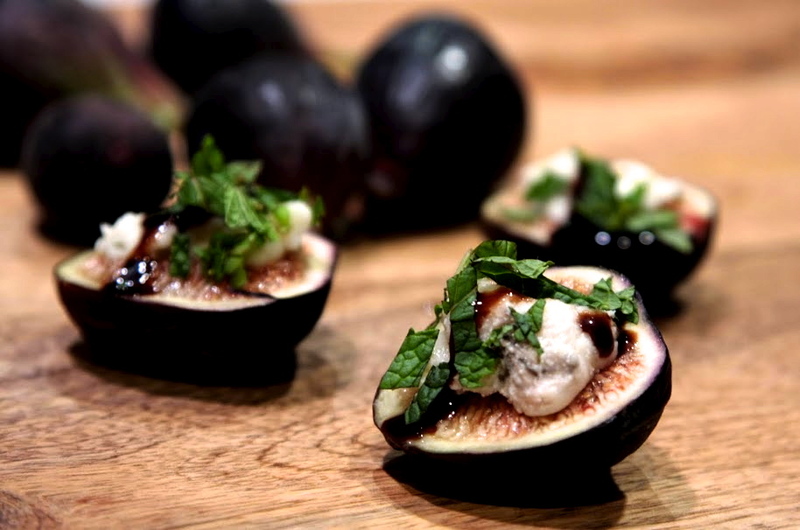 A gourmet's favorite recipe for it's simple and easy assembly using fresh, organic figs. This recipe is perfect for entertaining because you can make it ahead of time, before guests arrive.